If you go on the internet you can find a vast array of psoriasis home remedies or natural cures, often supported by glowing testimonials from users. However, it is well to remember that psoriasis is a condition that tends to come and go, even if not treated. Some sufferers will use one weird and wonderful treatment after another, and if they happen to improve while using Sumatran bat droppings, they may decide that this is a wonder cure. However, any improvement may actually be down to their workplace becoming rather less stressful, getting out in the sun more, or a dozen other reasons. There are some psoriasis home remedies that can be useful, particularly in milder cases of psoriasis. 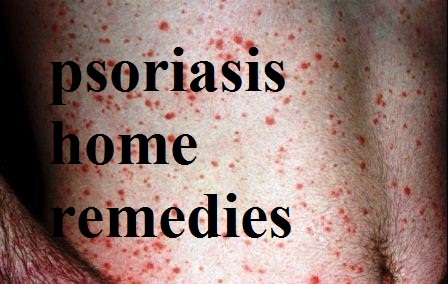 This is a free home remedy, which often helps to alleviate psoriasis. However, do not overdo it; make sure you don’t burn your skin. Sunlight increases the risk of skin cancer, so moderation is called for. A relaxing holiday in the sun often improves symptoms. Coconut oil is an excellent emollient (moisturizer). You can rub it onto your skin or hair, leave it as long as practicable, and then wash it off. It is believed that virgin coconut oil may be better than refined grades, although more work is needed to prove that this is the case. The oil can be somewhat messy, so you have to be careful not to get it everywhere. This is an inexpensive emollient (moisturizer), which can help with mild cases of psoriasis. Apply twice a day; if you have a bath or shower always apply immediately after drying yourself. This is a substance found in chili peppers and not as common as other psoriasis home remedies. Researchers from Germany, carrying out a scientific review of the available evidence in 2010 (American Journal of Clinical Dermatology, Reuter, J. et al), concluded that creams containing capsaicin may improve the symptoms of psoriasis. Bathing in the Dead Sea has long been used as a cure for psoriasis and other skin ailments. As you can see from the number of views this YouTube video has, the Dead Sea is a very popular destination for those suffering from psoriasis. If you don’t want to actually go there, you can purchase salts from the Dead Sea and use them in your bath at home following the instructions, although this can work out expensive for long term use. Treatment of diseases by bathing in salt water or spa water is known as balneotherapy. There is some scientific evidence these salt treatments improve symptoms. However, they may be more effective in conjunction with phototherapy. A relaxing holiday in a sunny country may well help your psoriasis, whether or not you got to the Dead Sea. This spice is sometimes eaten to combat psoriasis. Curcurmin, the main active ingredient, is known to have anti-inflammatory properties. About 1g a day of ground turmeric would be a sensible maximum adult dose, but avoid more than very small amounts if you are pregnant. More studies are needed to determine whether or not turmeric is really effective against psoriasis. Although there is currently some research on using specially prepared turmeric extracts on the skin, this is best avoided with the commercial spice. This has long been used as an acne treatment, but some sufferers also group this with their top psoriasis home remedies. There is little scientific evidence that this is the case, and it may be that some of the ‘cures’ are down to misdiagnosis, or simply the psoriasis improving due to some other reason. 0 Response to "Psoriasis Home Remedies"